When the staccato guitar kicks off “Last Goodbye,” the lead-off track on the new album by The Coal Men, the alarm bells start going off. This is a product of Nashville? This rollicking foot-stomping barn-burner of a record came out of Music City? Where have these guys been? Making music for more than a decade, it turns out. The Coal Men may not be household names, but they’ve been marrying country and rock ‘n’ roll in a way that’s about as far removed from pop-country as you can get with a deft hand, and for the band’s most recent effort, they decided to step it up enough, founder Dave Coleman told The Daily Times this week. “We’re kind of a roots rock band, but after all these years, we wanted to try and do something different and stretch the boundaries a little bit with the format,” Coleman said. “I think a lot of it comes down to guitar playing. We really wanted to make a record that’s more like a live show, that has a lot of energy and aggressiveness to it. Growing up in Jamestown on the edge of the Cumberland Plateau, Coleman knew from the moment he saw Pete Anderson — Dwight Yoakam’s guitar player — cut loose with a six-string that country-pop wasn’t the direction in which he wanted to go. In Nashville, he attended Belmont University; he and drummer Dave Ray started The Coal Men in 1999 and two years later were playing six-month residencies at various Nashville venues. Coleman landed a publishing deal with a Music Row company and got some experience in how the industry works; even though he wanted no part of mainstream country as a player and musician, it helped having the insight into the business, and he took what he learned with him to keep the band rolling down the road. Over the years, he’s cut back on penning songs for other artists, choosing instead — aside from the occasional guitar-playing gig for other artists — to focus on The Coal Men. 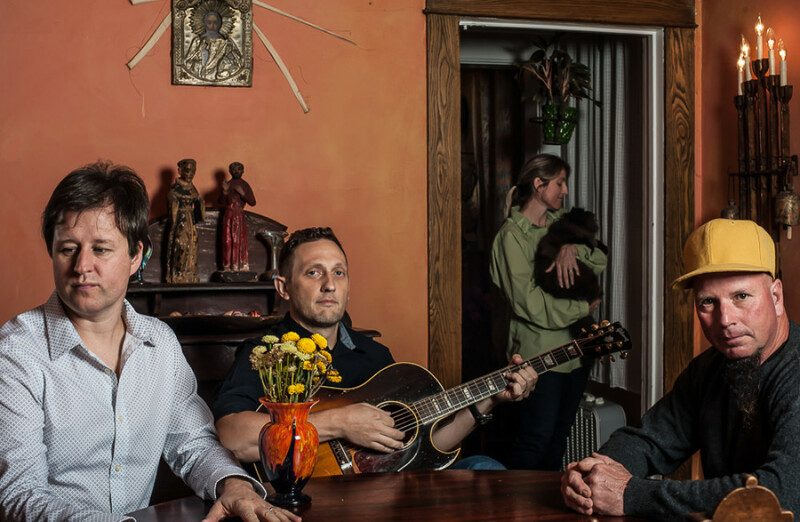 He’s found a few allies along the way, people like musician Tony Furtado and studio guy Bob Delevante, and now The Coal Men are signed to Todd Snider’s Aimless Records, which released “Escalator” — the band’s fourth CD — last month. Next week, he and the boys will return to Knoxville, a town they’ve played plenty of times before and will likely do so again soon.